Placas Gráficas HIS - Power Up, Gamers! "After about 4 months bought this card I must say it was good... but just for a normal use .."
"This card is a beast, simply wonderful, and still powers its way through any modern games..."
"Great card really, I am totally happy with this upgrade." 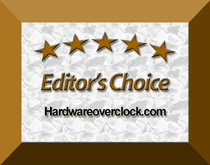 "I have been testing graphic cards and reviewing graphic cards for almost 20 years now. I r.."
"Nice product with nice prize. Card is quite quiet but not noiseless. Performance is optima.."
"MY AGP 3850 IS SWEET IT WAS AGOOD FIRST STEP.MY NEWT STEP IS 3 4870 Q4'S BY THE END OF THI.."
"i will buy this card next month, it design was good, and the performance will kickass my o.."
"You will need a PCIe-Express 2.0 bus slot to install this graphics card. The requirement i.."